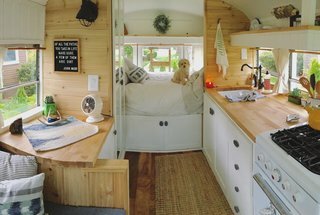 Meet Fern, the 24-foot skoolie that Mande and Ben Tucker call home when they’re on the road. 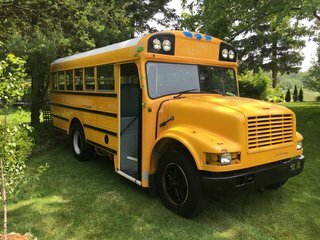 Mande and Ben Tucker’s 1992 International school bus had everything they were looking for when they bought it—low mileage; little rust on the body; and a powerful, 7.3-liter engine. 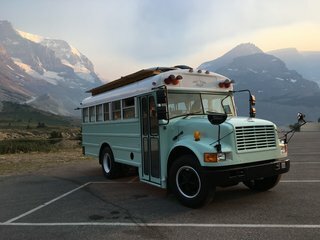 The latter would be especially useful considering the couple wanted to use their skoolie for epic outdoor adventures, whether that be tooling along the Icefields Parkway in Canada or staying closer to home at Michigan’s Lake Macatawa. 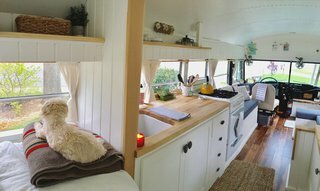 Since its makeover, the bus has been dubbed Fern, in honor of the main character in Charlotte’s Web (Mande is a second grade teacher). Follow along with Fern’s transformation below. 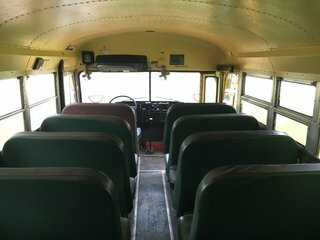 The 1992 International school bus was in fantastic condition when the couple bought it. It’s 24 feet long and seven feet wide; its shorter length makes it easier to navigate unfamiliar city streets and wilderness areas alike. The couple repainted the exterior with an oil-based paint in a custom-mixed, sea-foam green hue. Fun add-ons include a roof deck for storing paddleboards and stargazing. They can attach hammock posts to the deck to suspend hammocks up high as well. 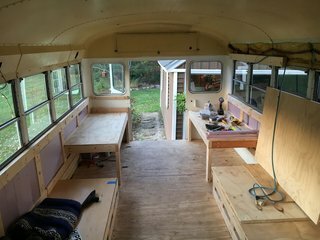 The couple gutted the bus interior themselves and removed the seats, rubber mat flooring, and heating/AC units. The build took about a year of labor, which the couple undertook on nights and weekends. Even after the floor was placed, there was a comfortable six feet of headroom inside. 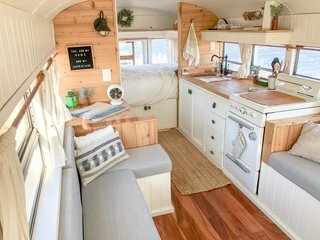 The bus has a seating area, kitchen, and bed propped over the "garage," where the couple stores their gear. 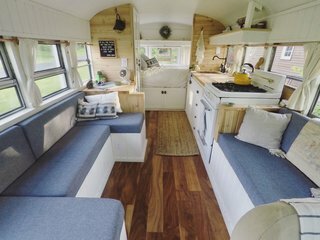 Mande did all the sewing herself, using the foam from the old seats to make the built-in couches. "This is a space for slowing down, simplifying, and clearing the mind," say the couple. The mirrored closet doors on the left conceal a marine portable toilet, while an outdoor shower is plumbed through a tankless water heater. The cabinet on the left holds an under-counter refrigerator. The cedar ladder to the roof deck is just glimpsed through the operable back door, which allows them to access the "garage." In order to keep the interior feeling light and airy, the couple combined white-painted vertical panelling with horizontal cedar planks on the walls. Acacia hardwood covers the floor. The kitchen counters are butcher block, and the curtain system is composed of copper tube rods and white linen. The mattress is a Full XL to maximize the available space, meaning it is the width of a full and the length of a queen. In the kitchen, a high, deep shelf keeps items from rattling in transit while magnetized spice jars easily affix to the ceiling. The cabinet knobs are made of rocks, and the full-size range was pulled from a 1950s RV and purchased on Craigslist. 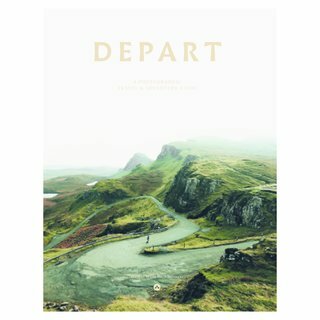 Curated by The Sizoo Brothers, Depart: A Photographic Travel & Adventure Guide by ACC Distribution unveils the whereabouts of some of the best locations, making this an inspirational photography book and a practical guide for travel enthusiasts. 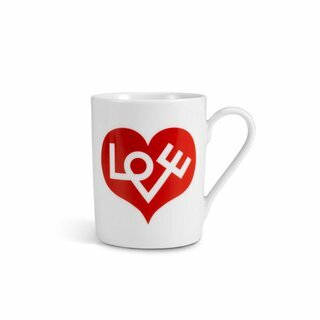 Designer Alexander Girard's passion for colors, patterns and textures found expression in the field of graphic design. Meet one of the Citizenry's thickest, most luxurious blankets! 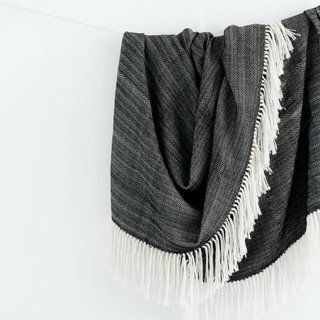 Inspired by cold, dark nights in the Andes, this throw is a modern take on traditional Peruvian patterns. The rich, graphic weave adds a cozy touch to any bedroom or living space. 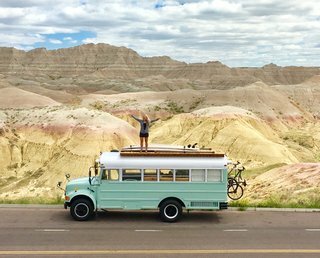 Fern the bus and Mande on the road in the Badlands.